FAA considering drone license plates as close encounters with airplanes continue. Should Drones Have License Plates So Officials Can Police Them Like Cars? An experimental surveillance drone over the Rhone in Orange, France. Consumers and businesses have really been accelerating their use of unmanned aerial vehicles lately, and mo’ drones means mo’ problems. As officials scramble to vet and implement safety measures, the number of near-miss encounters between UAVs and airplanes is on the rise. Federal Aviation Administration documents obtained by the Washington Post show that there have been almost 700 dangerously close encounters in 2015 so far, up drastically from 2014. “The documents show that ­remote-control planes are penetrating some of the most guarded airspace in the country,” Craig Whitlock wrote in the Post, including all over airports, even though drones are supposed to stay five miles away. In most cases, rogue drones disappear without a trace. The aircraft are usually too small to be detected by radar and do not carry transponders that would broadcast their locations. Unlike other planes, these drones are not marked with serial numbers, and their owners are not required to register them. The FAA is still ironing out guidelines about who can fly drones and where. For now, recreational drone pilots just have to avoid airports and flying above large crowds of people, plus stay under 400 feet. 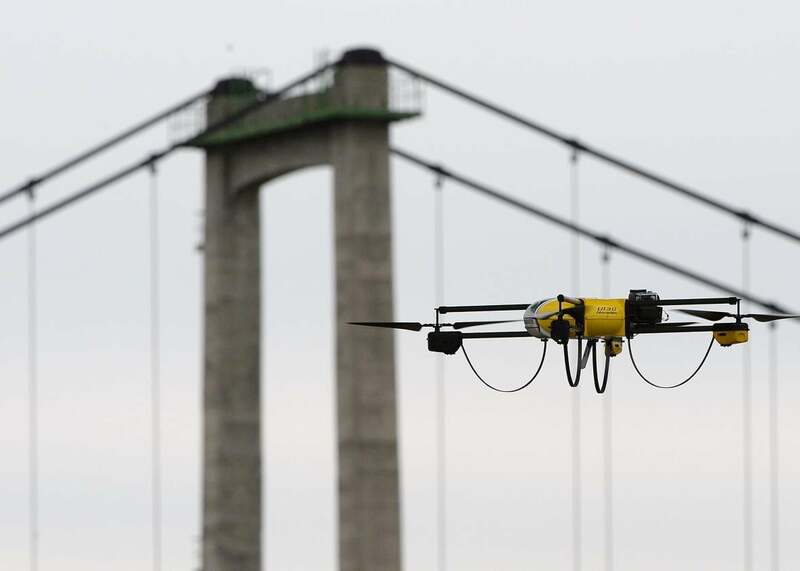 Businesses need special approval from the FAA to operate drones. And as safety concerns grow, the agency is considering identification systems so it can enforce its growing framework of rules. Michael Huerta, who heads the Federal Aviation Administration, talked to NPR Sunday about options for identifying drones. “One of the things that I’ve asked our industry partners to look at is are there technological solutions that would enable us to be able to tie a particular drone or unmanned aircraft with a specific operator?” He added that there is ongoing debate over requiring that people register drones in a centralized database at time of purchase, much like a car. “That might also provide the opportunity to ensure that we’re reinforcing the message of what the rules are,” Huerta said. There are already some identifcation options in development. At the University of California, Berkeley, researchers are working on a type of “license plate” that uses multicolor LED lights blinking in unique patterns, rather than letters and numbers, to show which drone is which. The project, called Lightcense, uses a special app and optic sensors to decipher the blinks, thus identifying different drones. Inventor Aislan Foina, who is the director of the Cal Unmanned Aviation Research Lab at UC–Berkeley, told MIT Technology Review last week that Lightcense would enable local police to quickly ID drones. “If a drone is bothering people, they’re going to call the police, not the Air Force or FAA,” he said. It took 17 years (1901–1918) for every state to require car registration and license plates. Hopefully the process will move a bit more quickly with drones.